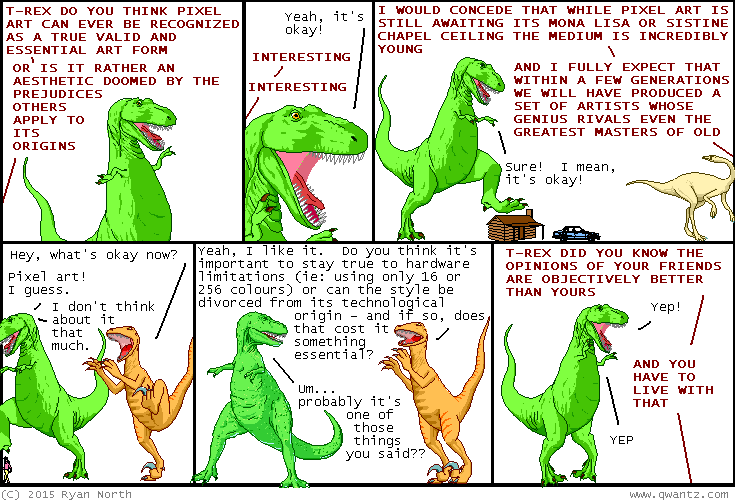 Dinosaur Comics - February 9th, 2015 - awesome fun times! –Sherlock shrugged. Deducing how he ended up here would be a long story! February 9th, 2015: Hey did you know there's a COMPUTER GAME version of To Be or Not To Be? It's true! I recommend we all purchase this game right away, especially if you enjoy reading books AND playing games and are so tired of the two not overlapping in some capacity!